Are you a Marvel comics superfan? Find out and add to your knowledge of Marvel heroes, Super Hero teams and villains with fact-packed spreads and brain-tingling questions! Test your family and entertain your friends with hours of tricky trivia. Learn everything there is to know about the Marvel universe, including characters, vehicles, super-powers, and secret identities. Find out what country is ruled by Black Panther. What is Ant-Man's real name? What is Yondu's super-power? Can you name Doctor Strange's secret base? 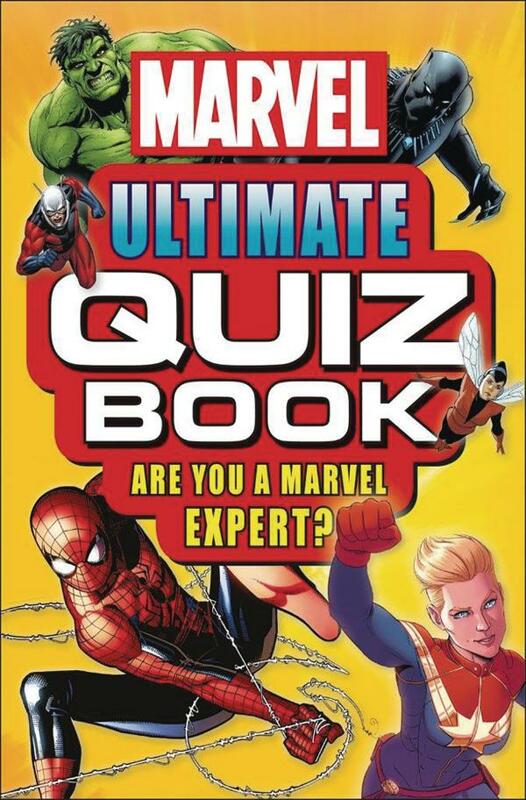 Discover the answers to these questions and many, many more in the Marvel Ultimate Quiz Book.